One of the great pleasures in attending any film festival is the chance to see older movies that haven't been seen on a cinema screen in a long while. So, when perusing the festival booklet beforehand, I was flicking through the pages and stopped when I saw that this much celebrated American classic was going to be playing at the festival. Excellent news for a film fan like me! It has had a major spruce up (Remastered at 4K) for the digital age, for its introduction onto possibly the last physical format, Blu-ray disc. Thankfully, the cinema gods insisted upon brand spanking new 35mm prints as well, and goddamn, the film has never looked better! 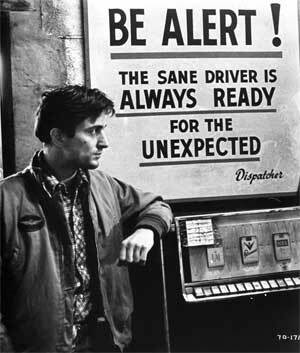 New York just jumps off the screen and assaults you in every way possible, so gritterly realistic is Martin Scorsese's & Screenwriter Paul Schrader's vision of a cesspit of human waste & misery. 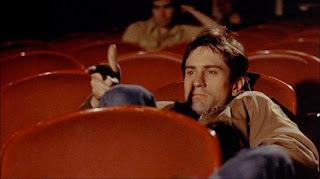 At least, as depicted by the main protagonist, Travis Bickle. 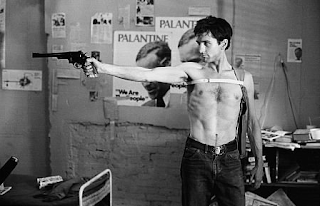 Speak of Bickle, and rather obviously, its the actor Robert De Niro who brings him to life, in a way that possibly Scorsese & Schrader couldn't have even envisaged. De Niro, famous for his intense preparation for movies, duly threw himself into this role, driving real New York taxi's to get a better sense of what taxi drivers see in their line of work. 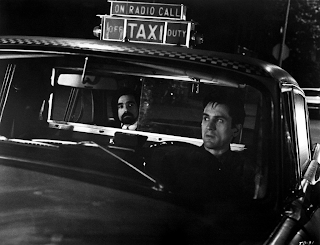 This work ethic manifests itself with a star making performance that made many take notice of the intensity that De Niro would bring to most roles in his early career. As to why he has now seemingly gone 'missing in action' these days? Only De Niro can answer that question properly! While revisiting this classic, it was also refreshing to watching early career defining roles for a young Jodie Foster, a radiant Cybill Shepherd, and a disturbingly long haired pimp played by Harvey Keitel. I say disturbing, only because he just doesn't look right with long hair! Seen too many movies from the 80's onwards where Harv only had shortish hair. Of course, this POV is in retrospect, so it probably wasn't as jarring back in 1976 for cinema goers as it is for us fans these days. Everything else about the movie is damn near perfect. The skillful direction, the masterful acting, the eclectic edgy Bernard Herrmann soundtrack, the superbly written screenplay, the nervy cinematography, all combine to create a movie that is justifiably, an American classic. Buy it, or watch it at the least. A movie you must see - before you die!